Nollywood producer, Ikenna Best, is not allowing his money get into his head as he knows that no matter how useful the Whiteman’s technologies are, there is nothing like being natural. Ikenna with food are five and six and he wasted no time to depend on his wife or siblings to come do the pounding for him as he entered the kitchen to prove that he is also good in cooking. 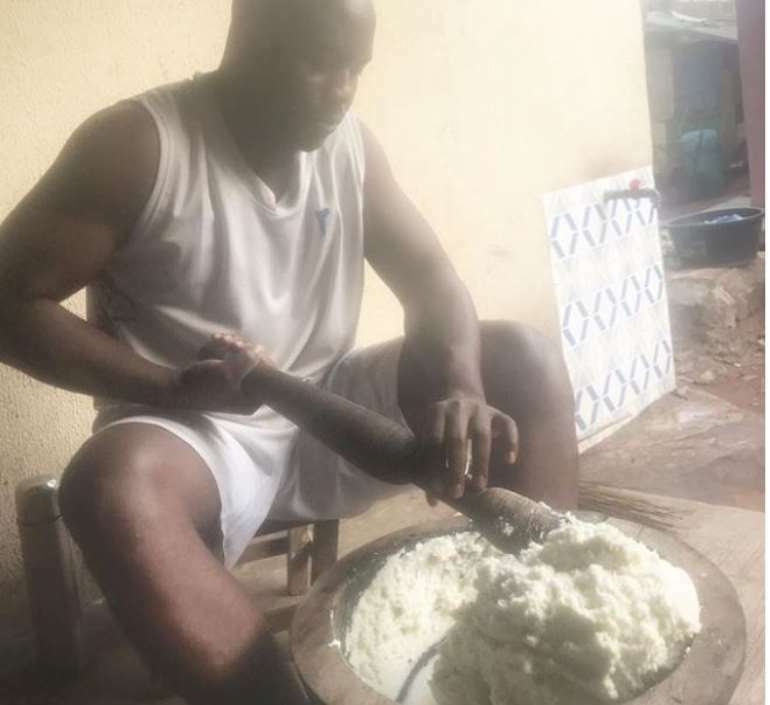 He took his time to pound his local Igbo food known as Akpu, as sometimes some ladies avoid making it with the excuse that they cannot pound anything.